"We don't need it to be easy. We just need it to be possible." Timothy knows what it takes to beat the odds. No matter what obstacle comes his way, he’s determined to never quit. His drive helped him become a college football player when many believed that dream was impossible due to a car accident that left him paralyzed. Currently, Alexander now serves as the character coach for UAB Football and Women's Basketball. He travels across the country sharing his story of resiliency in effort to motivate and inspire student athletes to live life to the fullest. Timothy's message of persistence, resilience and being consistent is one desperately needed by all of today's youth. 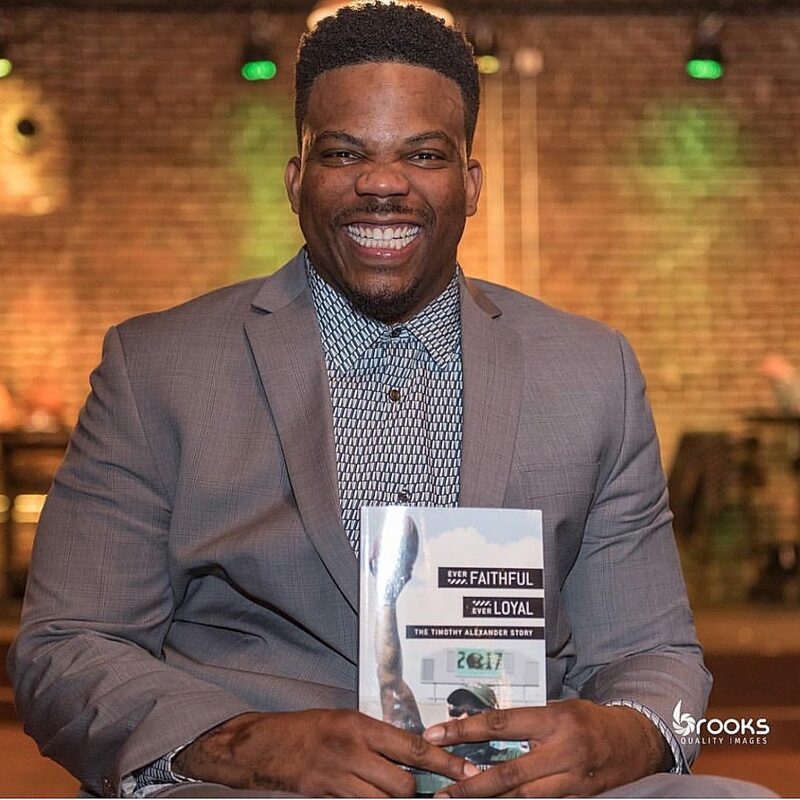 He has a unique gift and ability to share his story in a way that engages students to stay positive and striving to overcoming all obstacles of life. He worked to integrate our program theme of reading in a school wide assembly with energy and personal stories. Taking the time to connect with individual students in a breakout session encouraged our young leaders to be examples to their peers. I am proud to highly recommend Mr. Timothy Alexander and the Growing Leaders organization. Mr. Alexander came to Bluff Park Elementary School and touched the hearts and minds of our students. He is a remarkable motivational speaker who knows how to cater his message to all students. I completely recommend Mr. Tim Alexander and endorse him as a speaker. We plan to invite Mr. Alexander back to our school in the near future. I knew Timothy was going to be great for my school, but he managed to surpass my expectations! Our crowd of 2000+ was engaged heart, soul and mind as Timothy told his story and inspired us to think about our own. He speaks with passion, care and real love for everyone in the room and you can feel it. Timothy has a gift of connecting with people and meeting them where they are at. He touched so many lives with his story and made time to give so many hugs and make so many students feel seen and heard. His story and his ability to reach others is amazing. Timothy is now a part of our Warrior Family and will continue to inspire us to have grit, compassion, drive, and motivation to follow our dreams and never give up. We can't wait to have him back. There are not words to describe the hush that came over our Upper School community when Timothy Alexander came to speak on our Upper School Fall Retreat. All of our students could identify with the feeling that Timothy had as a high schooler with all of his hopes and dreams still ahead of him. His future changed in an instant when he was in the car accident, forever changing the trajectory of his life. As Timothy shared, his physical challenges after the accident didn't change the fact that there is a purpose and a plan for his life. By sharing his powerful story, he was able to illustrate the concept of Thermostats and Thermometers in language that resonated with our kids. Many of our students stayed after the session for over an hour to visit with Timothy and he took the time to talk with each one of them in a way that was really encouraging! I'm really impressed by this young man and would recommend him to any audience!